70-80% of all medical decisions are based on the laboratory tests of patients. This shows the importance of the Medical Lab Technologist plays in providing accurate information to doctors for proper medical diagnosis. Pathology or laboratory medicine is the testing of human tissues or body fluids such as blood, urine, sputum, blood, urine, bone marrow, sputum, stool, cerebrospinal fluid (CSF), peritoneal fluid. Students at the diploma level will take subjects such as Biochemistry Clinical which focuses on the biochemical components in blood such as glucose, cholesterol and enzymes for the identification of diseases related to the kidney, heart, liver and so on. bodily fluids and tissues to assist doctors in diagnosing and managing diseases. Students will also learn about Hematology which is basically the study of blood cells in order to trace anemia, leukemia, thalssemia and similar medical problems. Medical Microbiology consists of methodologies to find out the types of diseases that are caused by microorganisms. Besides these, Blood Transfusion Science will train students on how to ensure that blood supply is properly handled and safe for use while Cytology and Histopathology will expose students to the analysis of cancerous cells and tissues. Currently there are not many education institutions offering the Diploma in Medical Lab Technologist. Furthermore, the parliament passed the Pathology Act in 2007 making it compulsory for those working in the laboratory pathology field to possess at least a diploma in order to be recognized as a Medical Lab Technologist. Therefore the demand for these professionals are high and they will work mostly in the medical labs in hospitals. Biotechnology, Biosciences, Virology, Nutrition and Forensic. As a diploma holder, the graduate would usually start his or her career off as a Medical Lab Technologist. Should they desire to continue on to degree level, graduates will enter into Year 2 of the Biomedical degree programme. What you will study Medical Laboratory Technology studies prepare students for a career as medical laboratory technologists. Medical laboratory technologists perform laboratory tests and analyses on human blood, body fluids and tissues to assist doctors in the diagnosis and management of diseases. 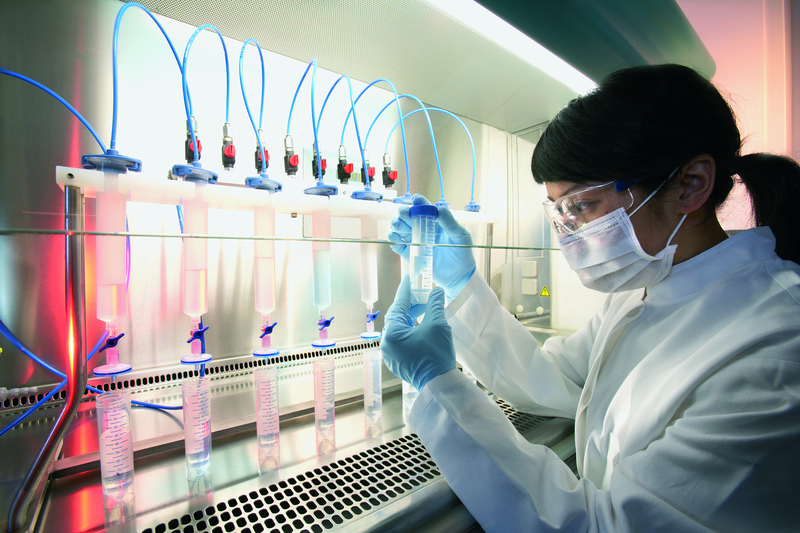 Medical Laboratory Technologists have a variety of career opportunities. They can work in public or private hospital laboratories, private clinical laboratories, public health laboratories, universities and research institutions. Students interested to pursue the diploma course must have at least 3 credits including Biology & Chemistry in SPM or UEC with passes in BM and English. 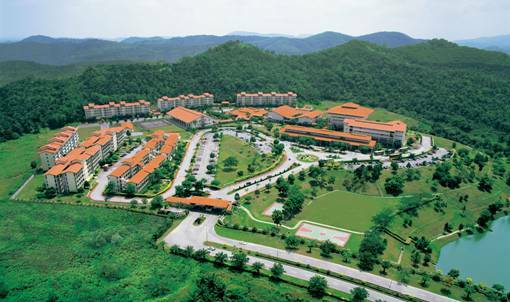 The diploma course will take 3 years to complete at Nilai University. The Medical Laboratory Technologist is an essential member of the allied health service industry. It is upon the laboratory tests and results of the Medical Laboratory Technologist that doctors and surgeons will base their prognosis on. The internationally-recognised 3-year Diploma in Medical Lab Technology at Nilai University equips you with the knowledge and skills to effectively use the sophisticated laboratory instruments and perform a wide variety of tests. Nilai University’s special arrangement with Gribbles Pathology Malaysia, the largest private provider of diagnostics laboratory services in the region, guarantees you industrial attachment opportunities. You will be awarded an additional certificate of completion, jointly issued by Gribbles Malaysia and Nilai University. 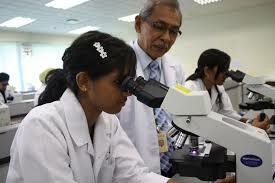 Besides Gribbles Pathology, arrangements are made for students to do their industrial placements at approved Pathology Laboratories in the Ministry of Health, Malaysia. 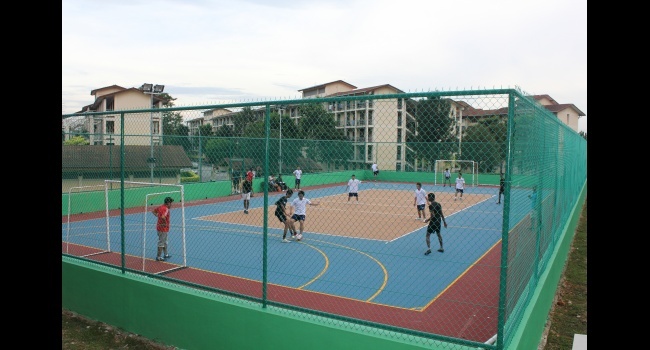 You may also further progress to a degree level programme to specialise in the areas of Pharmacology, Physiology, Sports and Exercise Science and Biomedical Science with Nilai University’s reputable partners. For other qualiﬁcations, please consult our programme counsellors. acre campus which is ensconced in lush greenery, providing you with a peaceful environment ideal for your studies. I am Bangladeshi.how can try it. For more details, you can email me at info@eduspiral.com with your full name and mobile number. My spm result goes like this. I just want to know whether i could do diploma in MLT. Hello this is my spm results Inggeris- B, bahasa malaysia – a, matematik- a,biology – b, chemistry – d, physics – d, add math – d, sejarah – a, moral – a. Can i know with my results which course is suitable for me. You can consider business, accounting, mass communication, psychology or law. can reply me asap..because i have to choose the courses asap…. I have just replied you. If you need the brochures and fees, please email me at eduspiral@gmail.com with your full name and mobile number. Cheers! can you listed out all the degree can i enter after the MLT diploma?the MLT course is in which field ?in medical field or science and technology? Biomedical degree only. Please email me at eduspiral@gmail.com for more information on MAHSA. 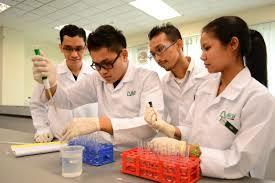 can i go for degree biotechnology after the medical laboratory technology? No, the pathway is the biomedical degree. Please email me at eduspiral@gmail.com for more information. which 1 is more ? need biology or chemistry more? is the diploma course names as medical laboratory technology ? after finished the diploma which degree can i go to? i am from science stream but i fail the chemisty paper and i did not do the biology paper ..can i apply the diploma courses ? because this page just said must have 3 credits including biology and chemisty the apple for the courses.. Sorry, you cannot enter the programme as you will need Chemistry and Biology for the MLT programme. After the diploma, students will go into the Biomedical degree. You should consider going into the business or mass comm course. What are your results?